Hey baby, we hear those blues a-callin’ — and they’re saying that a Frasier reboot might actually be happening. 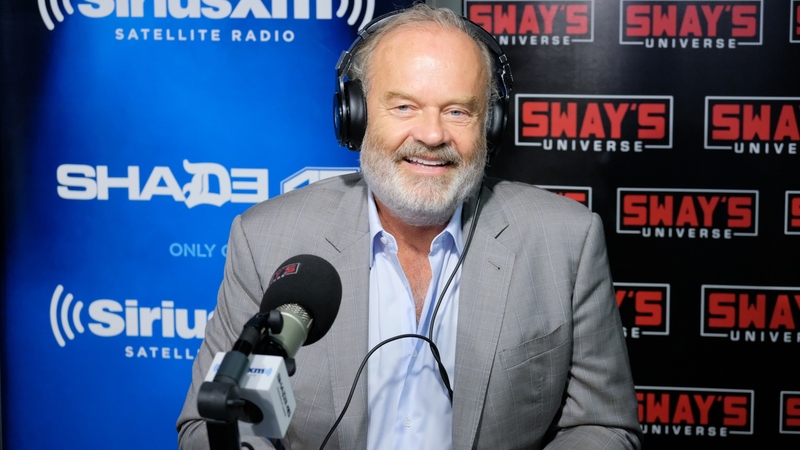 Per Deadline, star Kelsey Grammer already has a potential storyline in mind for a revival of his hit ‘90s TV series. And the timing couldn’t be more perfect, considering the show turns 25 this year. Grammer and some of his costars spoke about the NBC show at the USC Comedy Festival Vol. 4, held in Los Angeles on Saturday. Largely, the panel of actors and producers remembered the late John Mahoney, who memorably played the Frasier family patriarch, Martin. But the subject of a potential reboot did come up, and Grammer offered some intriguing insight on its status. First order of business? Figuring out how to keep the gang together while relaying that they’d all moved forward. “A lot of us are quite committed to the concept that you would never try to redo what we once had,” Grammer said, seated alongside costars David Hyde Pierce (Dr. Niles Crane), Jane Leeves (Daphne Moon) and Peri Gilpin (Roz Doyle). Grammer, who of course starred as the eponymous Dr. Frasier Crane, insisted the reboot would “have to have a different foundation,” since more than a decade has passed since the series capped off its 11-season run in 2004. Rest assured, though, that Grammer can’t imagine creating a revival without the original series stars together again. Another promising bit of intel to emerge from the panel? Grammer admitted he had a sort of stripped-down storyline in mind for the revival. “Whatever happens, in my mind, should be that he sorted out something that he hadn’t sorted out previously. That would be the stepping point, so we’ll see,” he said. Deadline first broke the news about a potential Frasier revival back in July, noting that Grammer has been spearheading the project and that it was potentially being shopped by CBS. At that point, sources suggested that the reboot would be set in an entirely different city, albeit with the same cast of characters (sans the beloved Mahoney, may he rest in peace). Fans of the original series may well remember that Frasier itself was a spinoff — the character of Dr. Frasier Crane had been introduced on the Boston-based series Cheers. The spinoff saw him return to his Seattle roots to reconnect with his family and to kick off his radio hosting career. So, perhaps the reboot will see Frasier and his friends return to the East Coast. Only time will tell, but consider our curiosity piqued.